A last minute decision to go to Norfolk Island for the "Jazz in the Pines" festival in December 2008. It was a repeat visit for GA and an inaugural visit for SP. It was a very relaxed pace but thank goodness for the Jazz Festival, otherwise it would have been a tad too quiet for SP. 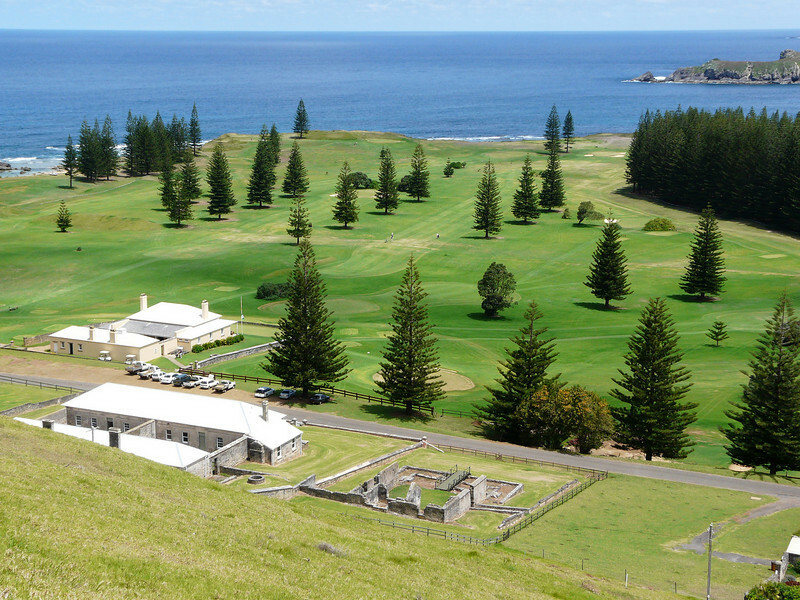 The history of Norfolk Island is extremely interesting and the opportunity to visit Kingston and view what remains of the three settlements of Norfolk Island was just wonderful. Sunday - view of Kingston from Queen Elizabeth Lookout.